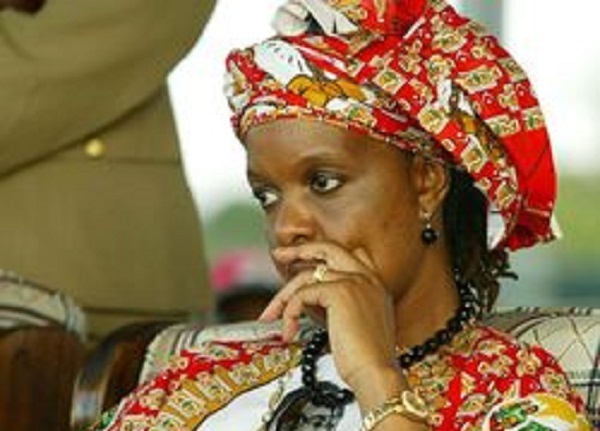 Zimbabwe – is in the grip of devastating drought, but that hasn’t stopped Grace Mugabe from donating hundreds of raincoats to villagers, it was reported from a rally in northern Zimbabwe on Friday. The controversial first lady handed out 1 095kg of raincoats to rally-goers in Chiweshe, said an update from the private Newsday online. Only one week ago, her husband President Robert Mugabe declared the drought a national disaster. This season’s rains have been abnormally low. Agencies now warn that up to 3 million Zimbabweans or nearly one-quarter of the population will need food aid. The raincoats were part of a long list of donations handed out by Mugabe’s 50-year-old wife, who has previously been criticised by the opposition Movement for Democratic Change for her lavish handouts. Other items donated included tractors, rice, cooking oil, sugar and shoes, said Newsday and eyewitnesses at the scene of the rally. It’s not clear where the raincoats came from. Grace Mugabe used the rally to insist that she would push her husband to work “in a wheelbarrow” if he was unable to walk, Newsday reported. The longtime president turns 92 in 10 days’ time. She said Mugabe would be Zanu-PF’s sole candidate for the next elections in 2018, according to an update from the Herald online. He will be 94 then. Mugabe has not publicly named a successor, leading to bitter fights within his party from those angling for power. At Friday’s rally, Grace reportedly commended both former information minister Jonathan Moyo and Zanu-PF national party commissar Saviour Kasukuwere. Both are members of the Generation-40 faction of the ruling party. The G-40 has been engaged in open fights with members of an opposing faction led by Vice-President Emmerson Mnangagwa, once seen as a clear candidate to succeed Mugabe. His future now appears much less secure.